Yesterday was opening day for CWS’s new water treatment center in Chandanyili. Several Fulani women (a nomadic group from Mali and Nigeria) were the first to arrive at the center near the dugout. The two entrepreneurs, Abiba and Zaharawu, were excited to begin filling safe storage containers and began right away. 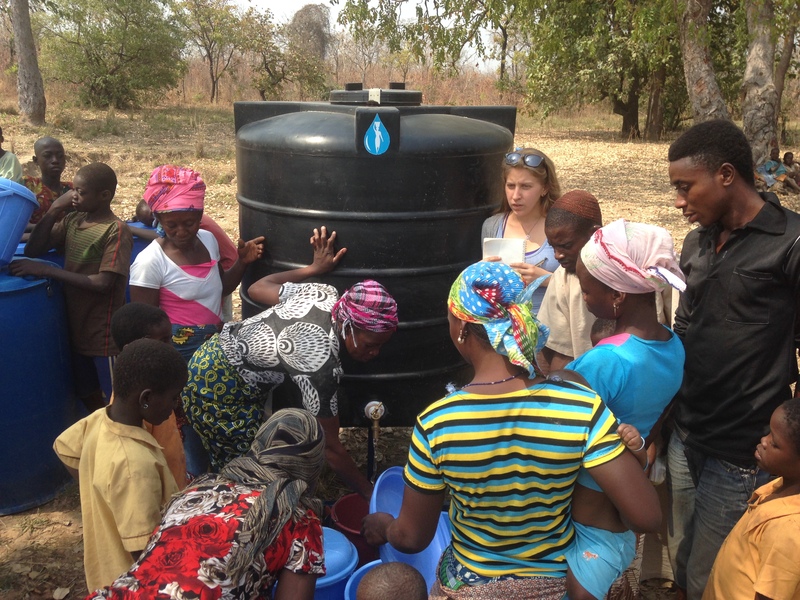 At first, only ten or so households arrived, but before we knew it, a large crowd formed near the Polytank, all ready to fill their buckets with safe, clean drinking water. Bimala helped several women clean their safe storage containers with soap and clean water from the Polytank before filling up, while Rachael and Anna helped record the number of customers at the center, and Jenna and Wahab distributed the last few safe storage containers on the list. Since some of the Fulani women don’t speak Dagbani, Jenna and Wahab worked to triple- and quadruple-translate the proper way to use each safe storage container. 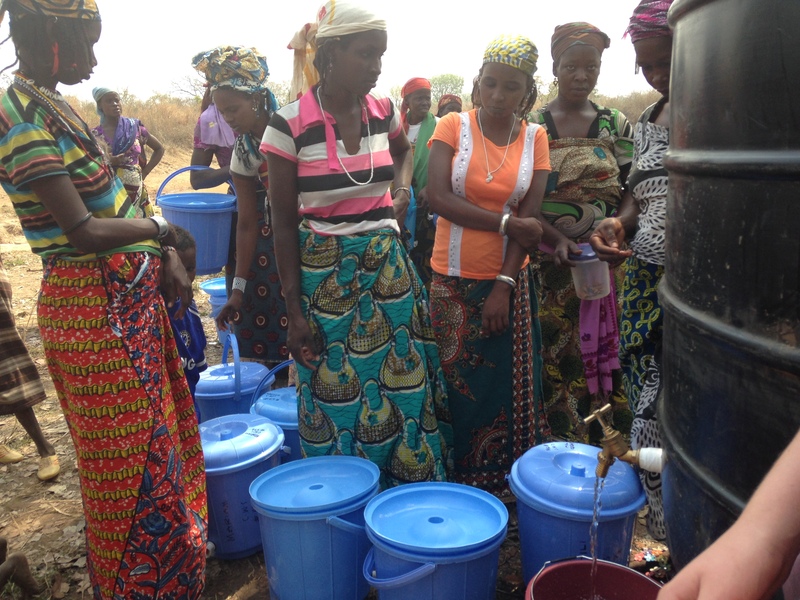 Excitement amongst the women grew as the first few safe storage containers were filled with clear, clean water. 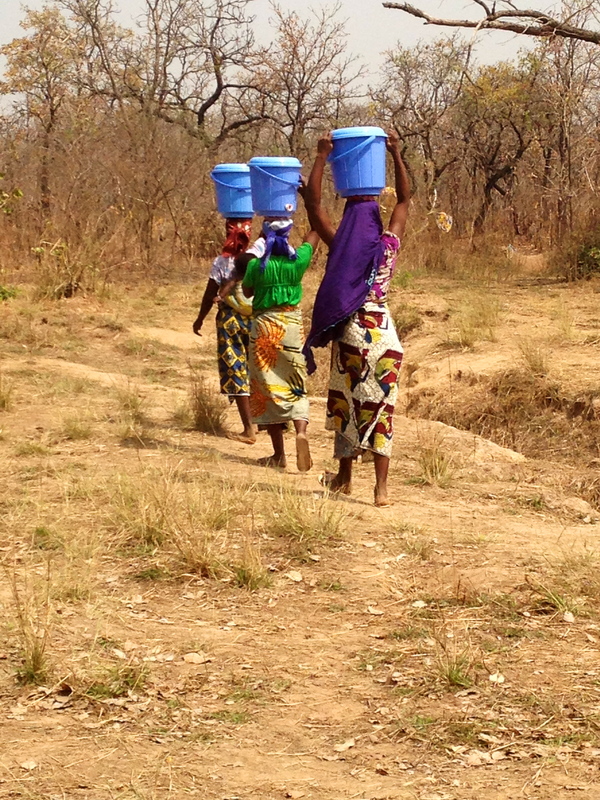 Several women filled their lids with clean water and passed it around to get a taste. 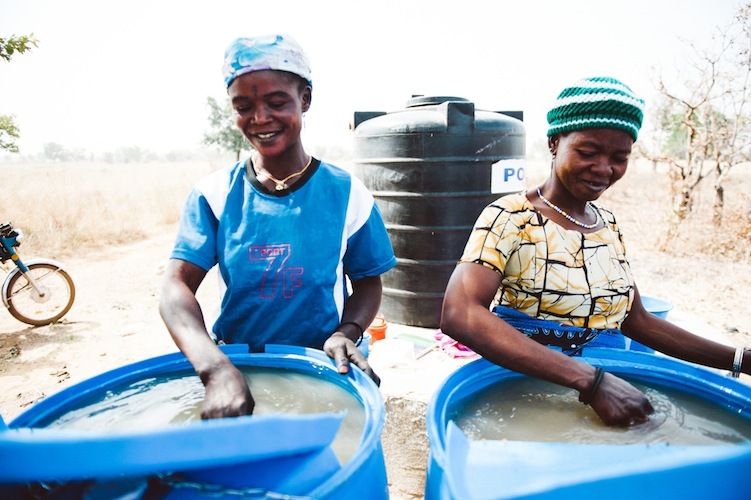 Abiba and Zaharawu quickly got into a rhythm – one would fill safe storage containers while another collected money and helped others lift the buckets to carry on their heads. 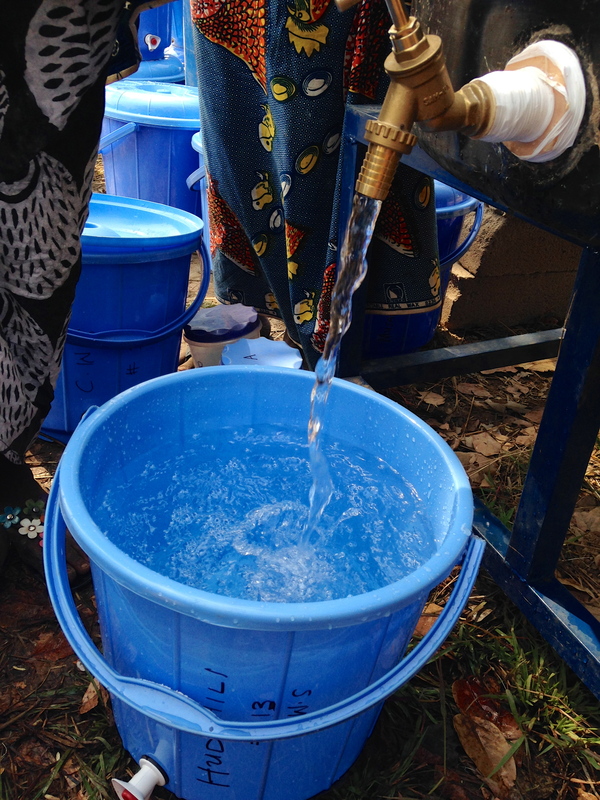 After three hours of successful clean water distribution, the Polytank was empty and we counted our sales. We filled 64 (of 67) safe storage containers! We can’t wait to check in on each household and see how they like the water next week!